I love fresh berries. 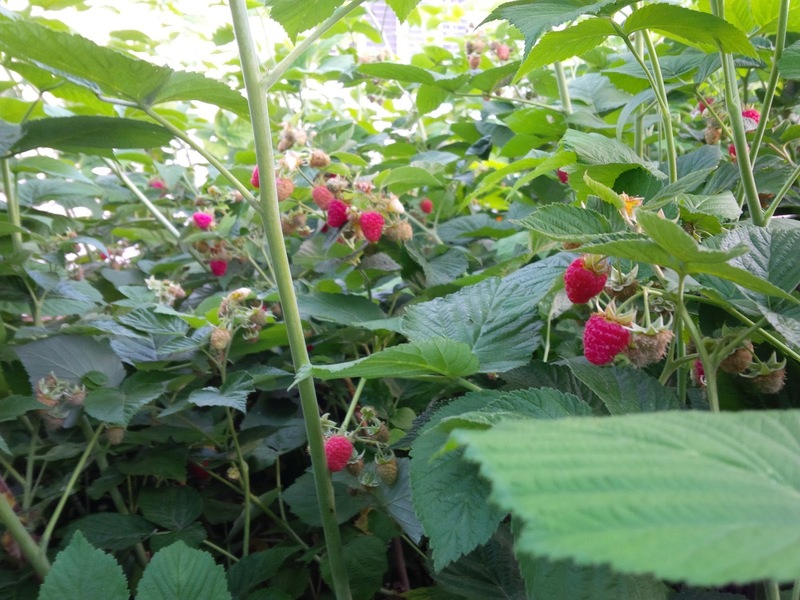 In my garden patch, I have raspberries, strawberries, and blackberries. 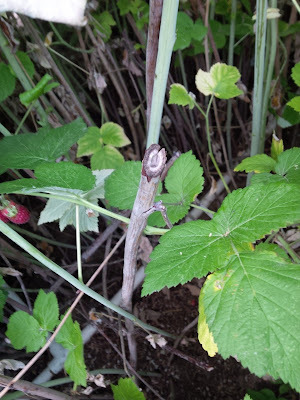 Last year, late in the season, I noticed that some of the raspberry canes had been hollowed out. 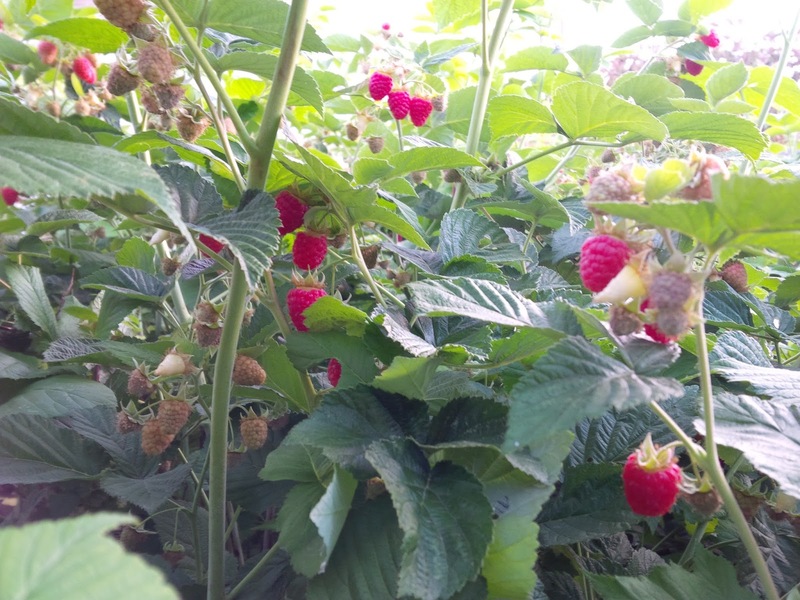 As a result the berries that branched off those canes shriveled and died before ripening. I researched it a bit last year, but I figured the season was over and the winter cold would kill off any pesky pests. So I didn't worry about it too much. A red-neck cane-boring beetle. Sounds bad. 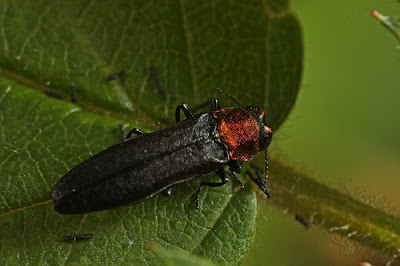 The thing is, I only ever saw ONE of these beetles. But I saw a lot of his (and his friends') damage. They were hollowing out the older canes in my raspberry patch. Sometimes the holes were huge and obvious. Other times the holes were tiny. 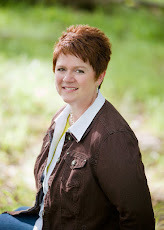 So I began researching ... online and at the local garden store and with local gardening experts. 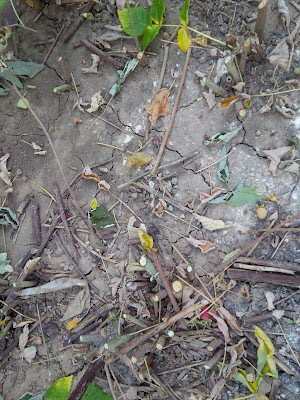 The experts all seemed to agree that the only option was to cut out all of the damaged canes and spray poison on the entire patch to kill the infestation of cane-boring beetles. "Infestation" ... what? 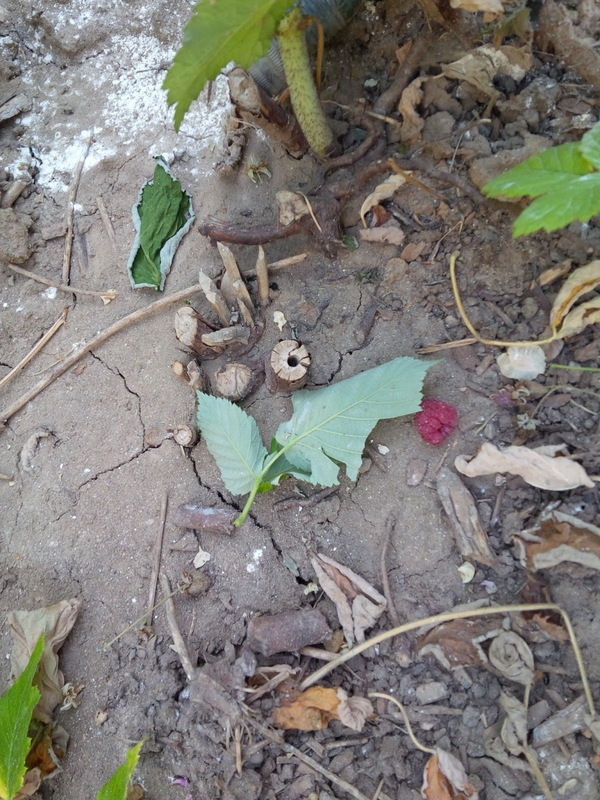 I only saw ONE beetle, but the experts told me my patch was infested and I needed to sacrifice the crop. 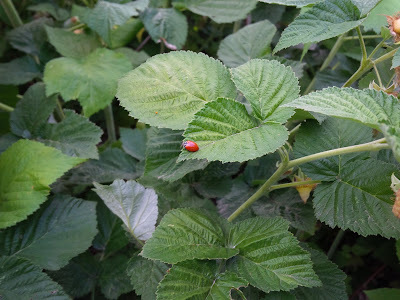 Spraying the poison would not only kill the beetles, but it would also make the berries inedible. Well. I wasn't ready to lose the crop. It was a huge crop. 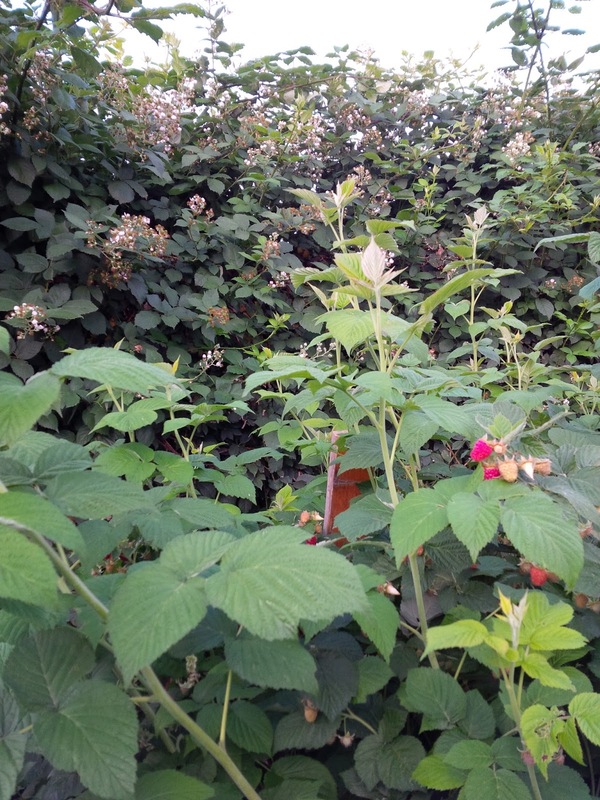 PLUS, my raspberries were right next to my blackberries. And I was really looking forward to an amazing crop of blackberries this year. So I did more research. My online research found a handful of organic gardening sites that explained my other option: hard work. 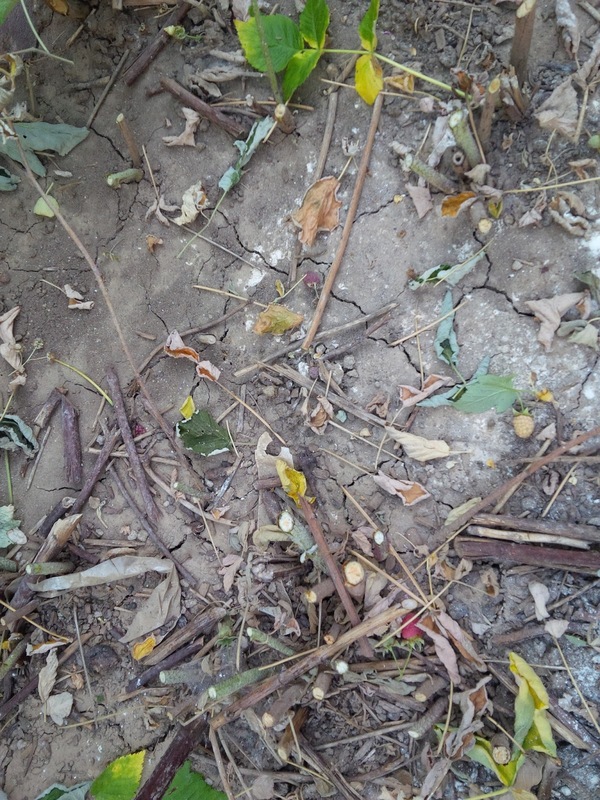 If I chose to not use poison, I would have to check the canes daily for damage, cut out the entire damaged cane, and discard it - removing it completely from the garden area. I went with that option. It has been a lot of work. And I discovered that the beetles mostly go after the older canes that I had pruned last fall. 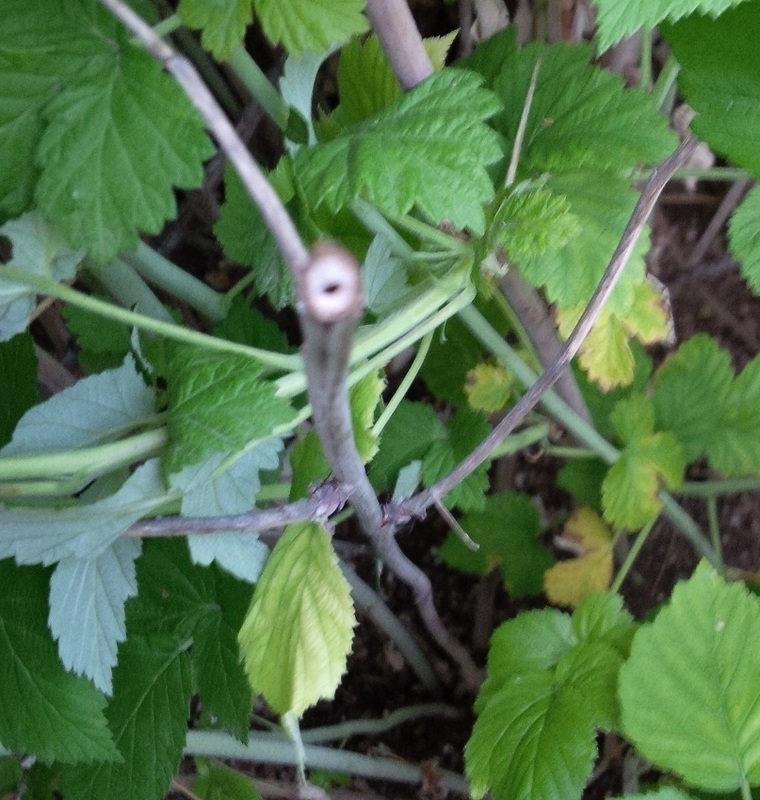 I also noticed that the bush would grow leaves over the ends of the canes in an attempt at self-preservation. Together, the raspberry bush and I worked hard to preserve and harvest the crop. When I'd go out to pick berries, I'd take an empty paint can and wear it at my hip, secured by an old belt. 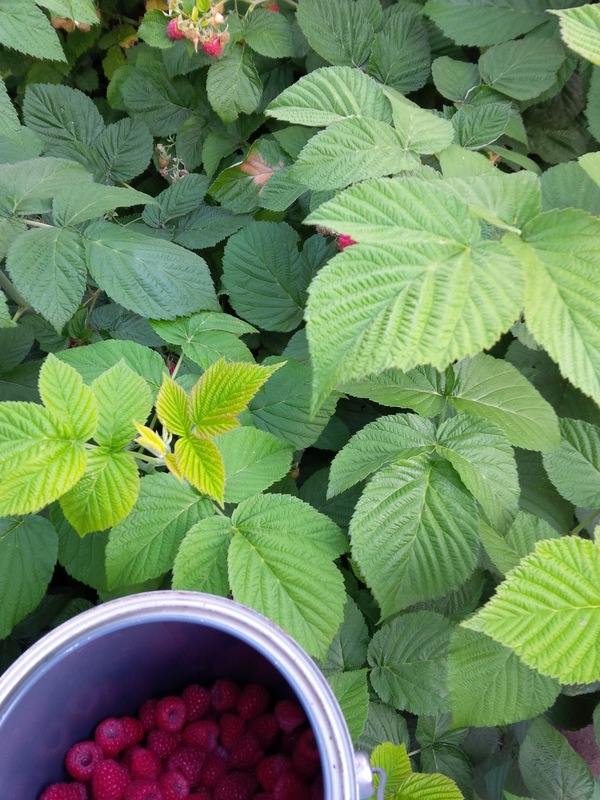 By having the can hanging at my side, I could then use both hands to pick berries. That process made it much easier for me to pick efficiently. Ladybugs were terrific little helpers in the garden. They ate the aphids and helped keep the bush healthy. 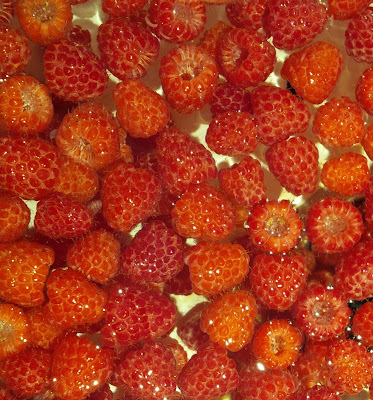 Because I chose to work extra hard in the garden, I've enjoyed a lot of delicious fresh berries this season. However, now that the season is nearing it's end (we had an early season this year), I've decided cut the patch down and spray poison. There were more damaged raspberry canes than I had realized, and I also discovered that those pesky little beetles had drilled into the canes near the bases - at the sides - not just at the top of the pruned cane. I haven't sprayed poison yet, because my organic gardening instincts tell me not to do it. However, I'm concerned if we have another mild winter, the beetles will be even worse next year if I don't deal with it completely now. Are you a gardening expert? Any advice to share? Feel free to leave your thoughts in the comments below.